Predominantly working in oils applied with a palette knife, Kate’s exaggerated use of colour and thick layers of paint, help to build-up light and texture in her work. 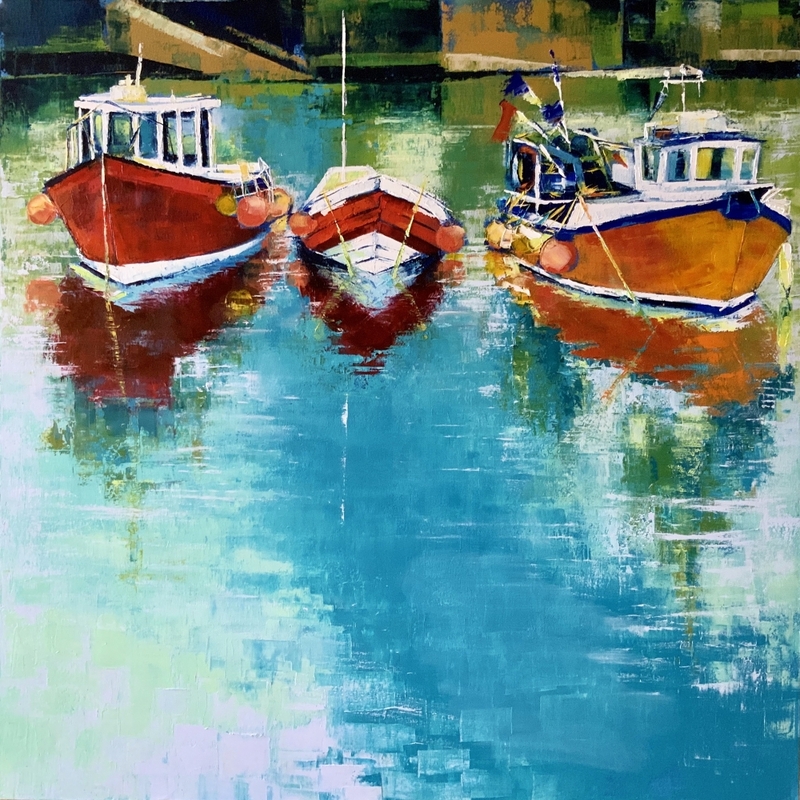 ​ Taking inspiration from in and around Whitby and the coastline where she lives, Kate draws on her sculptural background which has lead her to develop an impasto application of paint using a palette knife, very much as she used tools to carve sculptures. ​ This technique has become a fundamental aspect of her style along with a love of local craftsman-built traditional fishing boats that are the subjects of much of her recent work.